They say that April showers bring May flowers. Since April was so rainy, there are tons of flowers here to provide inspiration. 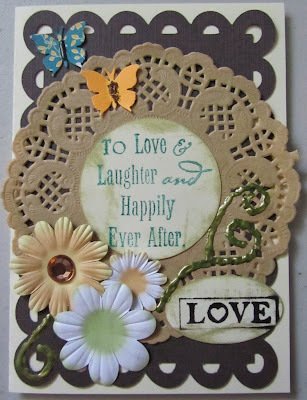 My challenge to you is to use flowers on a project. Whether you use flowers as an embellishment, use floral patterned paper or try the craze of rolled paper flowers, just make sure that you have flowers on your project. 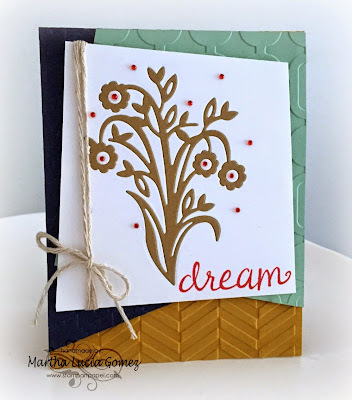 For this challenge, I have created a card with a die cut floral border. Let's see what you can come up with! 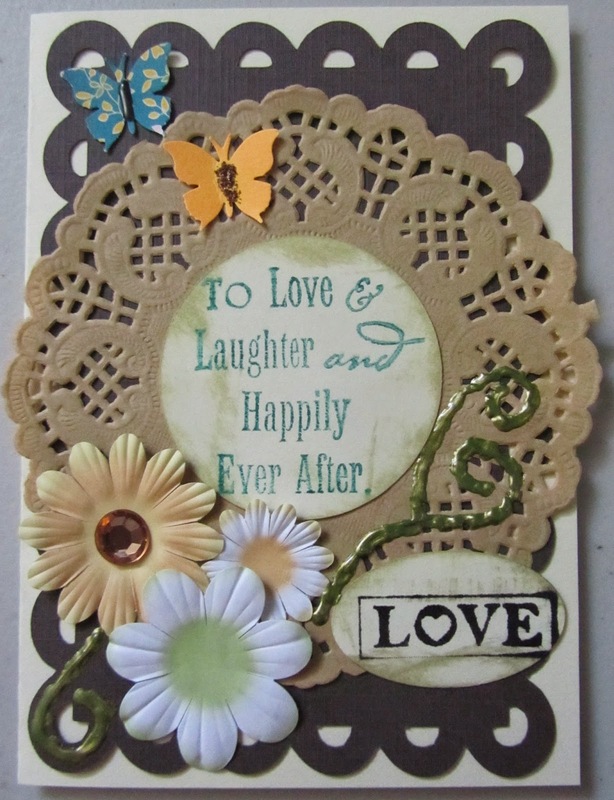 I love clustering paper flowers from Prima and Petaloo. 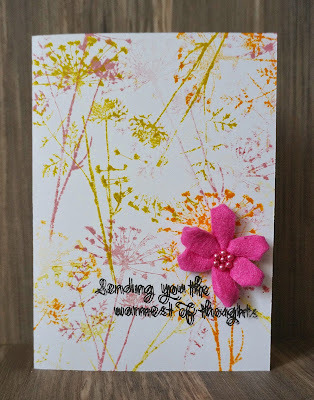 Some simple paper flowers to embellish this card.